I mean it in a good way. University of Missouri Press is a fine but infrequent Civil War publisher (mostly through its Shades of Blue & Gray series) and even then does not particularly concentrate its efforts on Civil War persons and events directly related to its own state's experience. However, the upcoming F/W catalog will reveal the press to have caught the Sesquicentennial fever. All four look interesting, but I have my eye on the two Missouri titles. Winter is best known for his great guide book to Civil War St. Louis, and it is nice to see more published material from Missouri Confederates who fought in regular (as opposed to guerrilla) formations. If Kyle Sinisi's long awaited book is published in 2011 (and I have no information that it will) we'll have three Price Raid titles in the same calendar year after none in decades! * Price's Lost Campaign: The 1864 Invasion of Missouri by Mark A. Lause. * Spain and the American Civil War by Wayne H. Bowen. * Demon of the Lost Cause: Sherman and Civil War History by Wesley Moody. 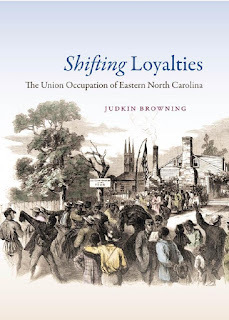 Browning: "SHIFTING LOYALTIES: The Union Occupation of Eastern North Carolina"
With a civilian populace significantly divided in allegiance and much of its territory under uninterrupted Union control beginning in early 1862, the tidewater section of the state of North Carolina has proven to be a useful laboratory for the scholarly study of the social and political ramifications of Union occupation. The result of historian Judkin Browning's investigation into the dramatic shift away from pro-Union sentiment among many loyal residents of the towns of New Bern and Beaufort by the end of the Civil War is the fine new book Shifting Loyalties: The Union Occupation of Eastern North Carolina. Although a brief summary of the Union campaign leading to the fall of the two towns is provided, Shifting Loyalties is not a military history. Readers wishing to discover details about the wildly successful combined operations that seized the region's leading ports and waterways should best consult Richard Sauers's sublime A Succession of Honorable Victories: The Burnside Expedition in North Carolina (Morningside, 1996). What Browning's study does so effectively is trace the role of revolutionary social change in race relations in eroding the identification of the white population with the Union cause, the last straw for many being the Emancipation Proclamation. At least initially, many residents welcomed the occupation for sound economic reasons. The resumption of trade (albeit with restrictions maddening to local businessmen) and the large increase in paying customers that the occupation brought did wonders to sustain at least outward pro-unionist feeling, but, according to the author, gradually increasing dissatisfaction over the unwelcome changes in race relations trumped monetary gain. A common theme of the book is the clash of alien cultures. A high proportion of the regiments performing occupation duties in Craven and Carteret counties hailed from Massachusetts and these men were unable or unwilling to believe that conservative, pro-slavery North Carolinians could be loyal. Mistrust and suspicion reigned, especially when the southern unionists's expectations of property protection (human and otherwise) were not met. Occupying forces found themselves changed by the experience as well, with grinding boredom, increasing local hostility, and feelings of not contributing to the prosecution of the war all leading to significant demoralization. Another source of local resentment was the steady influx of northern missionaries and teachers into the region to set up black schools and other means of assistance in violation of prewar state law. Poor whites often interpreted this 'favoritism' as an attempt to elevate blacks above them in the social pecking order. The area's black population was also able to assert newly awarded independence in other ways, including enlisting in the Union army and navy. They became valuable informers, pilots, and guides. New found confidence also led to some disorder, with an increase in plundering and evening of old scores, as well as verbal and physical confrontations in public between residents and former slaves. Blacks were also allowed by the army to be involved in confiscating the property of whites. All of these actions enraged white unionists in eastern North Carolina. Completing the process of 'shifting loyalties', Browning's research discovered that New Bern and Beaufort residents that displayed the most steadfast unionism during the Civil War often suffered the greatest economic decline and social sanction in the postwar years. Less outspoken unionists were able to successfully rewrite their own history. Conversely, ex-Confederates swelled the civic leadership ranks. Those that remained Confederate supporters in the midst of the occupation were respected members of the community, and this often translated into business success. Reasoning from deep research into available primary source material and focusing on both occupier and the occupied, Browning provides useful insights into the nature of southern unionism and what directions it took under the considerable strain of long term occupation and post war reevaluation. 1. The Seventh Star of the Confederacy: Texas during the Civil War edited by Kenneth W. Howell (U. of N. Texas Pr, 2011). Newly out in paperback, this book is worth another mention. Like I said in my earlier review, this is the best Texas Civil War essay compilation around and it was richly deserving of its Pate Award win. 2. Kansas's War: The Civil War in Documents edited by Pearl T. Ponce (Ohio Univ Pr, 2011). 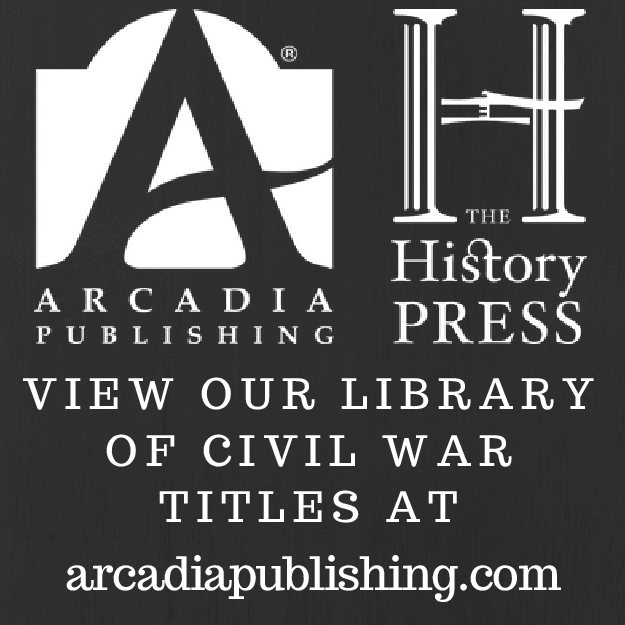 Ohio's The Civil War in the Great Interior series compiles primary source documents for entire states, attempting as broad subject coverage as possible. 3. Enduring Battle: American Soldiers in Three Wars, 1776-1945 by Christopher H. Hamner (U Pr of Kansas, 2011). As one might guess from the date range, the three wars are the Revolution, Civil War, and WWII. Several books examine the motivations of Civil War soldiers to endure combat and kill the enemy, but this one attempts to contrast experiences over three centuries through the lens of training, leadership, weaponry, fear, comradeship, and the changing nature of infantry combat. 4. The Irish General: Thomas Francis Meagher by Paul R. Wylie (U of Oklahoma Pr, 2011). Wylie's well received biography of Meagher has been treated to a new paperback edition. Schmidt: "'BOYS OF THE BEST FAMILIES IN THE STATE': Company E, 2nd Missouri Confederate Infantry"
The men who would later fill the ranks of the Confederate Company E, 2nd Missouri Cavalry first served with the 1st and 9th Divisions (2nd and 3rd Cavalry Regiments) of the Missouri State Guard. In March 1862, the Missourians transferred to Confederate service and were reformed into a battalion (the 4th) which was upgraded in July to a regiment (the 2nd). First published in 2003, Bob Schmidt's "Boys of the Best Families in the State", a biographical and genealogical record (and more) of the officers and men of Co. E, was recently reissued by Camp Pope Publishing. The focus of Schmidt's study is the author's detailed annotated company roster. Utilizing a broad range of primary and secondary source materials (e.g. books; articles; newspapers; census, tax, pension, and probate records; government reports, genealogy publications, theses, diaries, letters, etc. ), Schmidt has compiled a vast amount of personal and family information on these men. Of course, the amount of data presented varies with the amount of information available and some entries are mammoth in comparison to others. Like his other books, Schmidt's presentation is a bit stream-of-consciousness, branching off into numerous but often very interesting tangents. The amount of biographical, service record, and family material for each individual entry can be quite extensive (as one might suppose from the book's girth), and should prove to be of great use to interested ancestors and regional genealogy enthusiasts. A lengthy appendix provides a timeline of Company E's entire involvement in the war, from initial militia service in southeast Missouri through final surrender at Citronelle, Alabama as part of Confederate General Richard Taylor's Department of Alabama, Mississippi, and East Louisiana. Beginning with Iuka, the 2nd regiment fought many battles across Alabama, Mississippi, and Tennessee. During this time, the Missourians served under well known cavalry raiders and commanders like Frank Armstrong, James Chalmers, and Nathan Bedford Forrest. Anyone with an abiding interest in the pro-Confederate families of the the "Lead Belt" counties (St. Francois, Madison, Washington, and Iron) of SE Missouri and the military service of their fighting men will find much value in "Boys of the Best Families in the State". Giambrone: "AN ILLUSTRATED GUIDE TO THE VICKSBURG CAMPAIGN & NATIONAL MILITARY PARK"
Civil War campaign and battle guide studies come in all forms and Jeff Giambrone's An Illustrated Guide to the Vicksburg Campaign & National Military Park is not a touring aid akin to the old U.S. Army War College books or the more recent This Hallowed Ground series published by University of Nebraska Press. Giambrone's well photographed work is part historical narrative part site catalog, the latter including points of interest such as forts, batteries, houses, public buildings, grave sites, state monuments, unit monuments, and battlefield sculpture. The first third of the guide encompasses the history of Vicksburg, from first settlement through Civil War and Reconstruction. The town's regional maritime importance and traditions are strongly presented, and the chapter also includes short pieces on the ships that plied their trade to and from Vicksburg. The section dealing with the Civil War years in and around Vicksburg covers the 1862 and 1863 campaigns broadly, as well as listing, describing, and photographing the major federal battery positions and the Confederate fort sites currently under park stewardship. A chapter also deals with the post-siege Union occupation and Reconstruction years. The heart of the book and its most impressive feature is its extensive registry of antebellum buildings and houses, cemeteries, battlefield monuments, and sculpture. A typical listing from the historic homes guide is composed of a black and white photograph, physical address, date of construction, and a bullet point history of the building and its owners. Churches, cemeteries, and prominent public buildings in the city are given similar treatment. Numerous Confederate and Union state monuments are present on the battlefield (one dedicated as recently as the late 1990s) and Giambrone has cataloged those as well, providing additional information such as location, cost, artist responsible, art medium, and dedication date. A selection of regimental and battery monuments is also included. The book's largest compilation is its register of Confederate and Union officer memorials in the form of bust and relief sculptures. 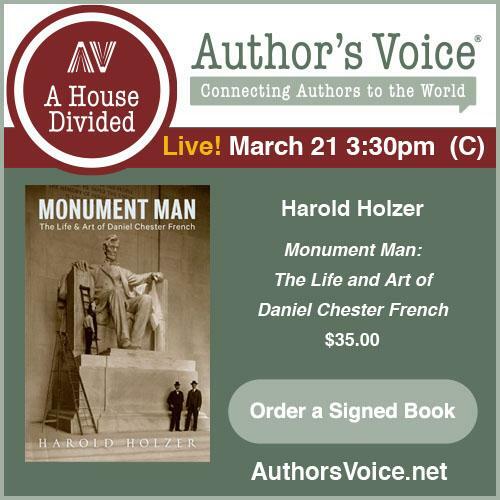 In addition to monument details, the author also provides short biographical summaries for each subject. In terms of a wish list, there could have been far more maps. Only a simple campaign drawing and a reproduction of the NPS park brochure map are included. Also, GPS coordinates are increasingly important in modern guides of this type, but are absent here. An index would have been helpful, too. These flaws aside, An Illustrated Guide to the Vicksburg Campaign & National Military Park is a well presented work that includes much visitor information that cannot be found in any other publication. Those with an interest in the park's monuments and artwork will find Giambrone's book especially useful. 1. Guns of the Civil War by Dennis Adler (Zenith Press, 2011). This is a thick, oversize photographic history of Civil War pistols and shoulder fired weapons, also including a section on reproductions (even those horrible mail order offer things that you can thank your favorite magazine for passing along). The selling point is the close up photography, allowing viewers the opportunity to examine the features of the weapons in great detail. 2. Blood Shed in This War: Civil War Illustrations by Captain Adolph Metzner, 32nd Indiana by Michael A. Peake (Ind Hist Soc Pr, 2010). Publisher and author did a really nice job in presenting Metzer's illustrations on heavy glossy paper and often in full page layout. The pencil/charcoal drawings and watercolor paintings depict mostly camp scenes and individual portraits. These often approach caricature and no one would mistake them for fine art, but it will be interesting to read more about them in the text. Boman: "LINCOLN AND CITIZENS' RIGHTS IN CIVIL WAR MISSOURI: Balancing Freedom and Security"
Missouri surely vexed President Lincoln more than any other Union aligned state, but the converse was also true, with the variety of abuses committed by Lincoln military appointees providing abundant cause for complaint by the conservative Unionists that dominated the state's body politic. While always sympathetic to the 16th president's difficulties (after all, Lincoln had a war on a continental scale to run and Missouri was just a part of it), Dennis Boman's Lincoln and Citizens' Rights in Civil War Missouri provides readers with a broad examination of the wartime curtailment of civil rights in the state from the perspectives of both radicals and conservatives. With his detailed renderings of the implementation and consequences of the civil rights policies of the string of generals placed in departmental command in Missouri, one of Boman's most effective critiques is of Lincoln's repeated inability to see that placing radical generals (e.g. John C. Fremont, Samuel R. Curtis, Lewis Merrill among others) in department and district leadership roles would clash with the state's conservative political leadership, hinder cooperation, and, at its worst, exacerbate the guerrilla conflict. Nevertheless, while often tone deaf to the state's political culture, the president did strike some good notes appointing and sustaining such generals as John Schofield, those that would prove to be able to work effectively with Provisional Governor Hamilton R. Gamble. Well positioned to do so as a biographer of the governor*, Boman succeeds in constructing a defense of the conservative, pro-slavery Gamble from contemporary charges by Missouri radicals that he was disloyal. To his credit, Lincoln, although personally more closely aligned with the views of the radicals than those of the governor, recognized the criticism as crass partisan political warfare. Arbitrary arrest and imprisonment, banishment, property assessments, press and religious suppression, summary executions, voter intimidation, and involuntary emancipation are all examples of rights infringements described in the book that were allowed to prevail in Missouri in the name of military necessity. Lincoln himself most often displayed a hands off policy toward these matters, preferring to let the commander on the scene dictate policy. While Lincoln is often praised for allowing the presumably best informed person to craft policy, this management style is also a recipe for inconsistency (commanders were frequently replaced and not devoid of political motivations) and abuse. While the president possessed a well documented merciful streak when it came to condemning individuals when guilt was in doubt or extenuating circumstances were involved, his interventions righting individual wrongs did not always impact long term policy nor ensure that similar abuses would not recur. Also, to have one's case reviewed, one often had to be fortunate enough to have an advocate with the ear of the president. One of the more egregious violations of civil rights was the arrest of religious ministers deemed disloyal, even when no overt hostility to military authorities was displayed (the case of Samuel McPheeters being the book's most prominent example). In a creditable reaction, Lincoln strongly enjoined his department commanders to cease running church affairs. Unlike the above policy, there was little impetus until very late in the war to reform the corrupt provost marshal system in Missouri. This network of "little gods" was able to operate far too long without real oversight, exercising arbitrary powers of arrest, detention, and bond forfeiture. Another serious rights infringement was the intimidation of conservative Missouri voters and candidates by federal soldiers. Several examples of this pertaining to the 1864 elections are provided in the book, and one might wish the author to have suggested the need for further research rather than dismiss the notion that it could have been widespread. In the end, Boman concludes that Lincoln performed admirably under the most difficult circumstances and was ultimately credited by the author for keeping Missouri within the Union and from descending into societal chaos. From the author's perspective, Missouri burnishes rather than detracts from Lincoln's reputation as one of the greatest American presidents. On the other hand, one could easily take the evidence and analysis presented so well in the book and arrive at a different conclusion. In regard to Missouri, readers frequently find a Lincoln that was reactive at best in dealing with critical issues and passive at worst, a situation that clashes with the popular image of an astute politician and proactive commander in chief. More useful than his broad assessments are the author's excellent descriptions of the initiatives of the various military commanders responsible for maintaining order in Missouri, and the consequences of each. The complex conservative vs. radical interplay between military, state, and federal executive authorities are also well developed in the book. Lincoln and Citizens' Rights in Civil War Missouri is an important study of how the president and the military handled dissent in a conservative Union state with a sizable pro-Confederate population. A similar look at the fellow troubled border state of Kentucky would be another welcome contribution. * - Lincoln's Resolute Unionist: Hamilton Gamble, Dred Scott Dissenter And Missouri's Civil War Governor (LSU, 2006). 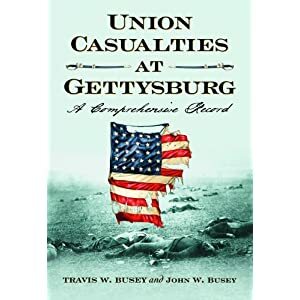 "Union Casualties at Gettysburg: A Comprehensive Record (3 Vols)"
When it comes to Gettysburg reference books, John Busey's is a familiar name. Previous publications include multiple editions of his numbers and losses studies (with David Martin), as well as a Gettysburg National Cemetery burial register. His latest work, coauthored with Travis Busey, brings new and previously published research together in one place in the form of a massive guide released in three volumes and titled Union Casualties at Gettysburg: A Comprehensive Record by Travis W. Busey and John W. Busey (McFarland 800-253-2187, 2011). Volume 1 covers generals and staff casualties and men hailing from the states (presented alphabetically) of Connecticut through part of New York. General and staff officers are treated to capsule biographies, while the rest (organized by company and regiment) include the typical personal and service record information found in modern roster studies (e.g. rank, enlistment date, promotions, date of birth, residence, prewar occupation, nature of wounds, burial location, mustering out date, etc.). The second volume continues with New York regiments and concludes with Wisconsin. It also has information for the Regulars that fought in the battle. 2 - Army of the Potomac casualties at each campaign skirmish and battle. 3 - Casualties by state. 4 - Union burials at Gettysburg (in churches, fields, lots, farms, etc.). 5 - Gettysburg National Cemetery burials by section. 6 - Evergreen Cemetery burials. 7-9 - Union hospitals and information on transportation and treatment of the wounded. 10 - List of Confederate prisons that housed Gettysburg POWs. 12 - Casualty roll mistakes. It also contains the trilogy's combined bibliography and name index. 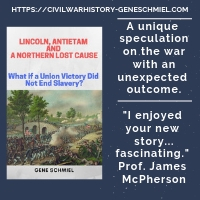 Although it is unfortunate the series could not be published in hardcover for longevity with frequent use, the books should prove to be invaluable research tools for historians, genealogists, and the most dedicated of Gettysburg enthusiasts. "Flames Beyond Gettysburg: The Confederate Expedition to the Susquehanna River, June 1863"
It says something about the enduring appeal of Gettysburg among writers and readers that books dealing with small segments of the campaign continue to regularly appear that are better crafted and presented than those covering entire Civil War campaigns and battles of far greater significance. This is one of those. 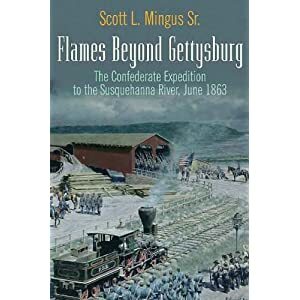 In addition to being a fine military history of the Gordon Expedition, Flames Beyond Gettysburg: The Confederate Expedition to the Susquehanna River, June 1863 by Scott Mingus (Savas Beatie, 2011) also utilizes well the author's many years of primary source compilation work in order to present a satisfying full picture of the raid's interactions with civilians living in the cities, towns, and farms occupying its path. On the Confederate side, the book's action follows the men of John B. Gordon's brigade of Jubal Early's division (screened by the famed 35th Battalion, Virginia Cavalry "White's Comanches"), as they skirmished at various points and passed through Gettysburg, York, and Hanover Junction, before the enemy's torching of the magnificent covered bridge over the Susquehanna River between Wrightsville and Columbia ended their advance. On the federal and Pennsylvania state side, large scale efforts to assemble emergency militia forces that could blunt or at least slow down the enemy advance are detailed. The diligent efforts of Major Granville Haller in coordinating the defenses in Gordon's way are particularly highlighted, a notable historiographical corrective contribution on the part of the author given how shamefully Haller was later treated [he was dismissed from the service in July on dubious charges of disloyalty]. An order of battle, chronology, and driving tour are also included. Flames Beyond Gettysburg deserves a place in the library of every serious Gettysburg Campaign student. It should also appeal to local Pennsylvania history enthusiasts. Finally, for those that already own a copy of the original edition, the new book is a quite considerable improvement over the old one in both content and presentation, and is very much worth another look. 1. "Boys of the Best Families in the State": Company E, 2nd Missouri Confederate Cavalry [2nd ed.] by Bob Schmidt (Camp Pope Publishing, 2011). 2. Lincoln on the Civil War: Selected Speeches (Penguin, 2011). This is a pocketsized red cloth hardcover that reproduces Lincoln's most famous speeches [Lyceum, "House Divided", Cooper Union, 1st and 2nd Inaugural, Gettysburg Address, etc.]. 3. Between Reb and Yank: A Civil War History of Northern Loudoun County, Virginia by Taylor M. Chamberlin and John M. Souders (McFarland, 2011). Loudoun County has been a popular subject of late, with this being at least the third history to be published within the last couple years. Written by a pair of retired CIA agents, Between Reb and Yank is a massive military study of 1861-65 operations in the northern part of the county. 4. The Civil War in Mississippi: Major Campaigns and Battles by Michael B. Ballard (Univ Pr of Mississippi, 2011). As the title states, the major battles and campaigns (e.g. Vicksburg, Iuka-Corinth, Meridian Expedition, Brice's Crossroads, Tupelo) are covered in this state military history, with an obscure raid or two thrown in for good measure. One of my nice "finds" of recent years was a fine condition copy of Scott Patchan's The Forgotten Fury for $10 at a bookstore that should have known better. If you can even find a copy online, they go for three figures (or at least they did last I checked). Now, for those that do not own a copy of this exceptional battle study, The History Press will be publishing a revised edition this month with the new title The Battle of Piedmont and Hunter's Campaign for Staunton: The 1864 Shenandoah Campaign . 1. Fighting Stock: John S. "Rip" Ford of Texas by Richard B. McCaslin (TCU Press, 2011). Two of the first three volumes of TCU's The Texas Biography Series have examined the lives of Civil War figures. Each book in the series makes a concerted effort to bring its subject's entire life into focus. However, while the Civil War period of Texas unionist general and post-war governor Edmund Davis's interesting life was only briefly addressed in his biographical treatment, McCaslin devotes far more attention to John Salmon "Rip" Ford's Confederate service along the Texas-Mexican border in command of the 2nd Texas Cavalry. 2. Tejanos in Gray: Civil War Letters of Captains Joseph Rafael de la Garza and Manuel Yturri edited by Jerry D. Thompson (TAMU Press, 2011). When it comes to publishing primary source material on the Civil War in the southwest, Jerry Thompson is the go to historian. This edited volume reproduces 41 letters and fragments written by a pair of Mexican Texan Confederate officers from San Antonio. 3. History of Andersonville Prison, Revised Edition by Ovid L. Futch (Univ Pr of Florida, 2011). This book was first published in 1968. The revised edition has a new introduction by historian Michael P. Gray. Until Citadel history professor Kyle Sinisi's long delayed 1864 Price Raid book hits the presses sometime in the future, readers interested in publications dealing with the operation's climactic battle at Westport still must rely on the old classics from guys like Howard Monnett and Fred Lee. However, later this month, The History Press's CW Sesquicentennial series will release The Battle of Westport: Missouri's Great Confederate Raid . In all my wide ranging Civil War in Missouri readings, I don't recall coming across the author (Paul Kirkman) before so I have no impression of the quality of his work. It's too early to tell if the book is a battle history -- like the recent Newtonia study from the same publisher -- or a general history of the raid with a few chapters devoted to the battle (the skeptic in me leans toward the latter, but there will probably be a table of contents available soon). I'll get it anyway as there is so little published on this operation. 1. Confederate Torpedoes: Two Illustrated 19th Century Works with New Appendices and Photographs by Gabriel J. Rains and Peter S. Michie, edited by Herbert M. Schiller (McFarland, 2011). This new book reproduces two old manuscripts, the first is a manual authored by Confederate Torpedo Bureau head General Gabriel Rains and the second an assessment of the enemy's "infernal machine" use by Union engineer officedr Peter Michie. The volume is heavily illustrated, with notes, appendices, and additional photos provided by the editor. 2. An Illustrated Guide to the Vicksburg Campaign & National Military Park by Jeff Giambrone (Communications Arts Co., 2011). This is a full ranging guidebook to Vicksburg's Civil War, including a town history; civilian life, weapons, and Reconstruction discussions; and summaries of the campaign and associated battles in Louisiana and Mississippi. A register of local architecture, earthwork locations, cemetery plots, and sculptures & monuments [a huge portion of the book] is also present. Looks like a really handy book to have for a visit. The 2nd edition of Bob Schmidt's "Boys of the Best Families in the State": Company E, 2nd Missouri Confederate Cavalry is out from Camp Pope Publishing. The unit was originally organized in the Missouri State Guard early in 1862 as McCulloch's Cavalry Battalion, Second Brigade, then was transferred to the Confederate service with four other companies as the 4th Battalion Missouri Cavalry. Company E's commander was Mexican War veteran Captain William H. Couzens.